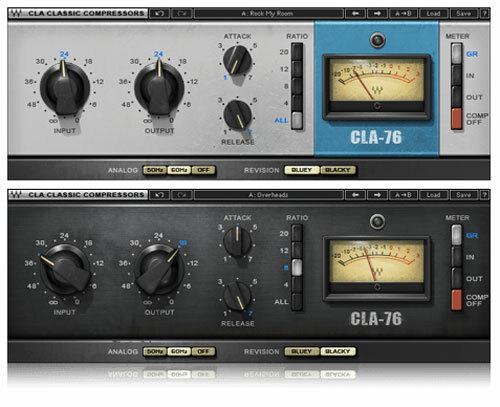 Inspired by two highly-desirable revisions of the famed mid-60s Class A line level limiting amplifier, both versions of the CLA-76 (“Blacky” and “Bluey”) offer the superfast attack (as quick as 50 microseconds!) that made the originals studio legends. 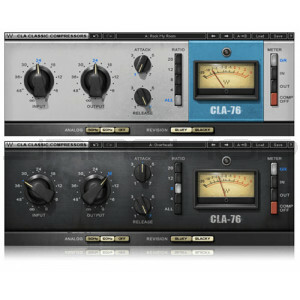 With an exclusive “ALL” control that recreates the original’s explosive “All-Ratio-Buttons-In” mode, plus modeled pre-amp distortion for that extra edge, the CLA-76 delivers some of the most powerful drum sounds imaginable!